Abert Rim is one of the most unique geological features within Oregon. First discovered by Lieutenant John Fremont (he of Fremont Forest fame,) on December 20th, 1843, he named it and the nearby lake after his commanding office Colonel J. J. Abert. Fremont was attempting to find a mythical river called the Buena Vista that flowed from Klamath Lake to San Francisco area and to map one of last unknown areas in Oregon. Fremont wrote of the three feet deep snow, the cutting wind and ice. Having just recently sighted and named Summer Lake a few days ago after seeing the sun break through the clouds and illuminate the lake, they were unprepared for Abert Lake after passing off the Winter Ridge at the south end of Abert Rim. The full size and scale of Abert Rim did not dawn on Fremont for several days as they followed Indian paths between the lake and it. He finally headed south ward again after going as far north as Christmas Lake. 150 years later, this entire area is pretty much the way Fremont saw it. There are no longer any signs of Indians around, except for ancient caches of arrow heads around the lake. Two paved roads pass through, one following Abert Rim north and south, and another circling to the west and north of the lakes. A few dirt roads head off into the hills or too isolated ranches left over from the 1920’s homestead rush. Hard to believe that this picture was taken in early June, 2008. As you can see this is Oregon’s high desert country. The valley is at 4000 feet and Abert Rim climbs another 2500 at it’s highest point. There are two seasons here: cold snowy and rainy or hot and dry. Sometimes you get them both at the same time. Geologically Speaking Abert Rim is interesting as it one of (if not the) largest and longest fault escarpments in the United States. It first started forming about three to four million years ago. 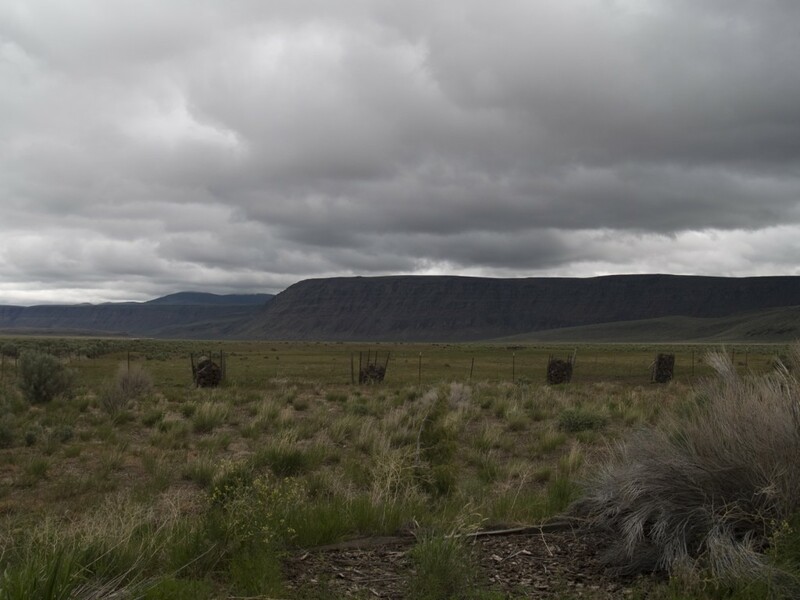 The fault caused huge chunks of basalt that covered most of South Eastern Oregon to heave upwards. During the last ice age a huge ice dam sat at the top of Abert Rim, until it broke through. The flood caused the formation of a huge lake in the valley and gave Abert Rim title to the highest water fall in the world. 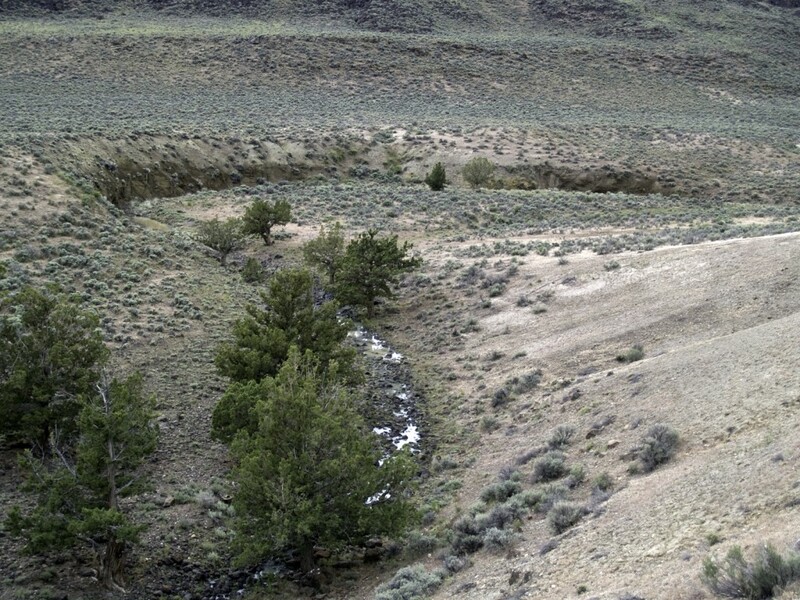 This winding little river on top of Abert RIm actually drains quite a bit of area. In the winter it’s easily ten to twenty feet deep in areas. It eventually finds it’s way over Abert Rim and was mentioned in Fremont’s journal on December 18th, 1843 as a place they filled up on fresh water. 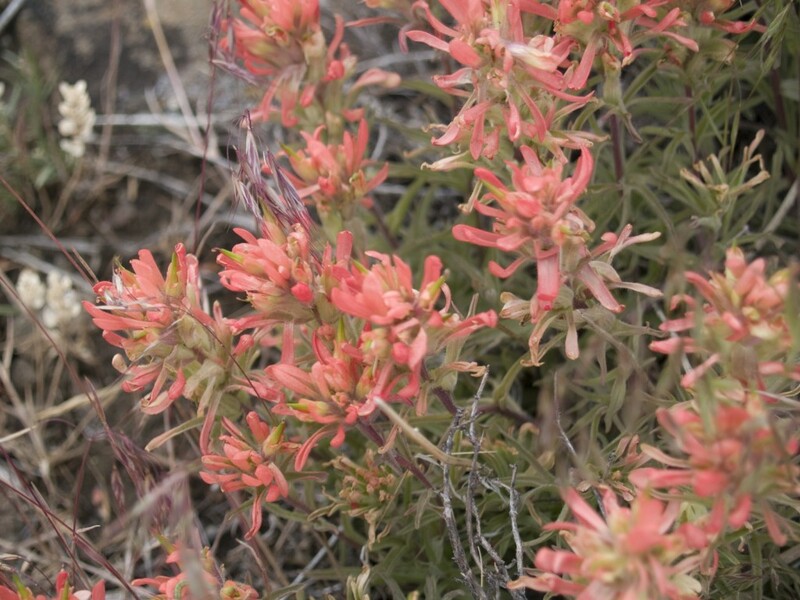 the flower is Desert Paintbrush. I love finding photography blogs about Oregon…when I moved back to Oregon after being in Virginia for 20 years I found the official sites to be sterile.